It is just starting to cool off outside here and put a little chill in the air. When we came in from Baseball and Soccer last night the kids wanted hot chocolate. 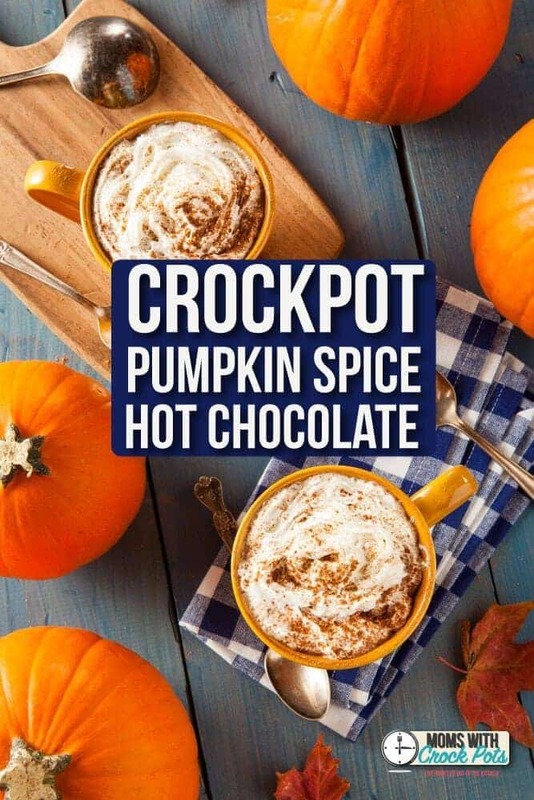 Good thing I was thinking ahead and had this Crockpot Pumpkin Spice Hot Chocolate in the crockpot on warm and ready to go. THEY LOVED IT! 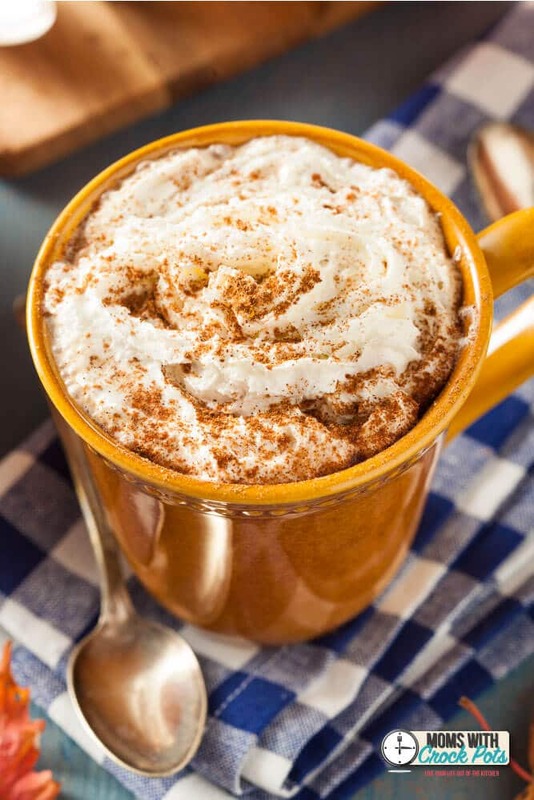 This White Hot Chocolate is full of pumpkin & cinnamon flavor and is the perfect thing to warm you up on a crisp fall day. Plus, the smells of pumpkin and cinnamon will fill your house with an amazing aroma! Wonderful to enjoy after an evening at the Pumpkin Patch or Fall Festival. Add milk, white chocolate chips, pumpkin, 4 - 3-inch cinnamon sticks, ginger, and 1 teaspoon nutmeg in a 3 quart or larger slow cooker/Crock Pot. Heat on low for 2 - 3 hours, stirring every 10 minutes or so the first hour (to help distribute the white chocolate as it melts) and then occasionally after that. To serve, ladle into mugs and top with whipped cream, if using. Grate some fresh nutmeg over the top and add a cinnamon stick (the pumpkin tends to settle a bit so the cinnamon stick has the added bonus of acting as a stir stick). This looks so good! Can you use milk chocolate in place of white chocolate? Thanks for the recipe! Yes you can! 🙂 You will just get a darker cocoa.